How Can We Help Install Your IKEA Dream Kitchen? There is no one in the business more dedicated to your complete satisfaction than Assembly Squad. Over the years we have designed, assembled and installed hundreds of IKEA kitchens. 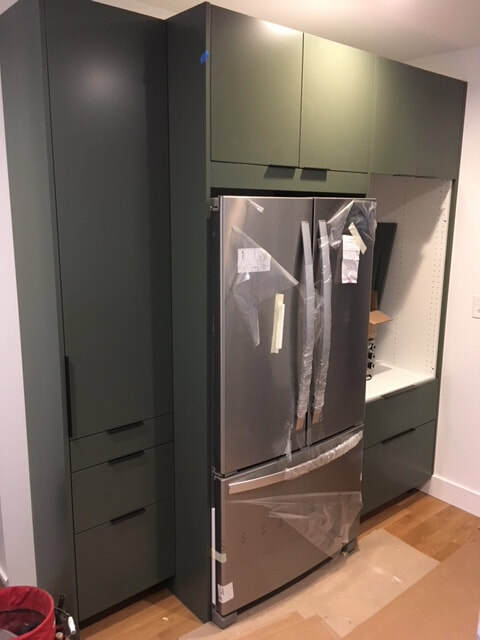 Our installers are skilled craftsmen who implement specialized techniques for the specific assembly and installation of frameless IKEA cabinetry, including IKEA kitchen cabinets, wardrobes, and closets. 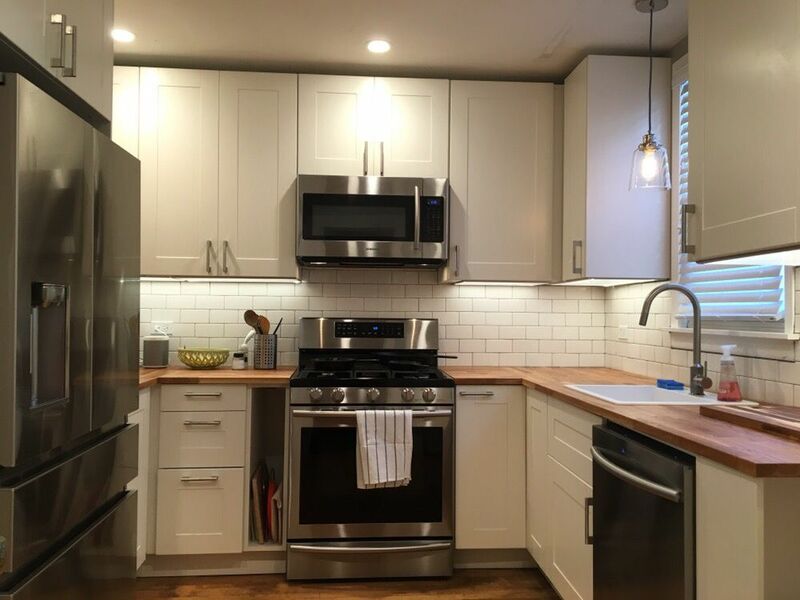 "I hired Assembly Squad to design and construct an Ikea kitchen including butcher block counters and subway tile backsplash. The job was reasonably priced and a change I requested was handled efficiently. Job was completed including demo of the old kitchen in 5 days. I strongly recommend them"
Why choose AN IKEA kitchen? The question should be, why would you choose anything else? Truly the best added value for most homes - this is your best shot at doing a remodeling project that adds more to your home's value than it costs. IKEA kitchens have better looks and functionality, and lower cost, than similar quality pre-built cabinets. 25 Year warranty on all cabinets. No waiting - most kitchen styles are available for same day pick up. Hassle free ordering, delivery, and installation, with our concierge service. Brand new IKEA cabinets cost far less than any comparable refacing option. Wide variety of cabinet configurations, accessories, and functionality available. ​IKEA kitchens and wardrobes are designed around the "frame-less" concept that is the industry standard for Europe and many other parts of the world. Most North American cabinets are pre-assembled "face-frame" cabinets, and most general contractors and cabinet installers only have experience with this type of installation. These contractors may be talented at what they do, but we have found they often refuse to work with frame-less cabinets, or try to talk the client out of it. Given the better value offered by IKEA cabinets, we believe the client is better served by having that choice available. We are able to work effectively with general contractors, and they invariably come to see the value in working with us, instead of tackling it themselves. How much you should spend on a kitchen remodel depends on many factors, but having a good sense of your budget is an important early step. Here is a link to a very useful survey on what homeowners typically spent on their kitchen remodels. 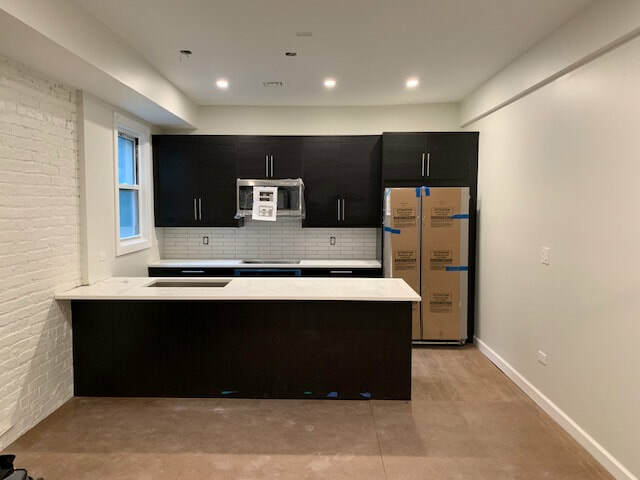 The cabinet assembly and installation portion is only a fraction of the typical overall project, so it pays to weigh your options on all parts of the project, such as appliances, countertops, flooring, painting, lighting/electrical, and plumbing work. Overall, taking into account product and installation cost, IKEA kitchens will cost you significantly less than standard kitchens of similar styling and quality. 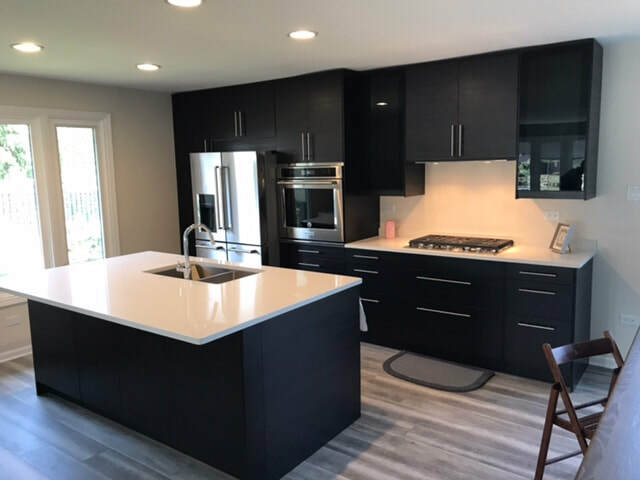 In order to estimate the actual cost of a complete remodel or installation, we will need to know the details of what is going into your kitchen. Generally, IKEA kitchens cost less for the product itself but more for the assembly and installation than pre-built cabinets. Depending on your cabinet configuration and choice of fronts, the same size kitchen can cost twice as much or more for the product, while the installation cost will be fairly constant. 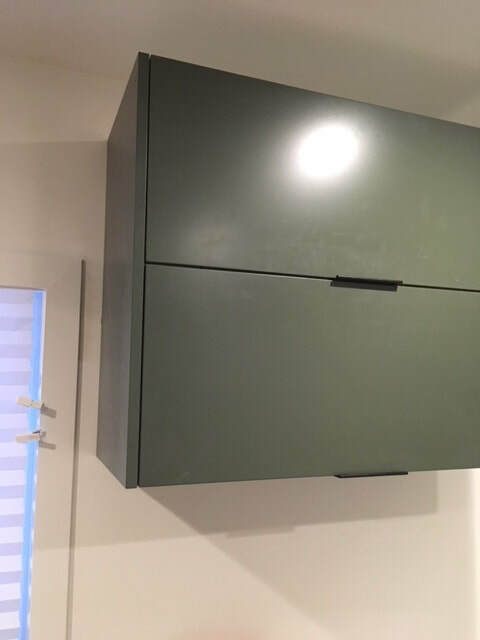 This means that the installation cost can range from a fraction of the overall cabinet cost, to more than half of it, depending on your choices. We study the IKEA lineup and pricing and can help you navigate these choices. To estimate your cost, we will need a detailed design, item list, and/or an on-site visit. As a design-build contractor, we can help you translate your thinking into an attractive and functional design. Take a few moments to fill out our contact form, E-mail us or give us a call (312 544-9150). Once we have received the information we will give you a good idea of your cost. We will install your cabinets to standards that meet or exceed manufacturer's instructions - we will do it right. You can expect the highest standards of workmanship and professionalism from us. At Assembly Squad, we know the in's and out's of frame-less cabinetry. You don't have to take our word for it; we invite you to check us out in places such as Yelp! and Google, and while you are at it, compare us and our competitors who specialize in IKEA kitchens. We stay on top by doing great work, minding the details, and always remembering that no matter how many 5-star rankings we achieve, we are only as good as the project before us now. As to those who do not specialize in IKEA kitchens, such a contractor may jump into a project and simply fail to appreciate what is required to build and install an IKEA kitchen properly (the "how hard can it be" attitude). This often leads to problems for both the client and the contractor; we get calls every week asking us to fix the problems from a botched job. We rarely can come to mutually agreeable terms to perform a project rescue. And we understand how our part, big or small, is vital to realizing success for your entire project. 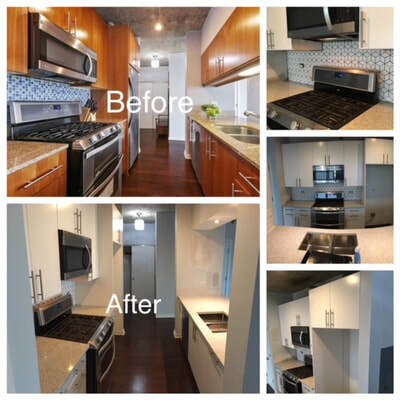 A kitchen renovation project has perhaps the single greatest impact on your experience as homeowner. Done well, it enhances beauty as well as function and resale value, and it can be a great source of satisfaction, even if all does not go perfectly as planned. Undertaking such a project involves a collection of small disparate jobs, done by a variety of contractors, in order to bring all the required resources to bear in a tight, well-orchestrated time frame. This can also bring a lot of headaches, so it is important to find the right people for the job, be it a single general contractor, individual contractors, or a combination. Consequently, we have taken steps to expand our service offering to include services that are related to our cabinet assembly & installation business - we can be your general contractor (GC), or simply contract to handle certain aspects. In our negotiations with you, we do our best to structure the job in whatever mutually agreeable way you would like. When we choose to partner up with anyone we bring onto the project, we seek people who have demonstrated that they value their clients' business, who not only come recommended, but also have lived up to that in our ongoing experience with them. 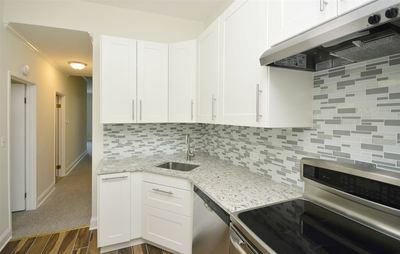 No single component of the kitchen, which includes demolition and disposal of the old cabinets, drywall, re-demising walls, electrical, plumbing, cabinetry, tile, and recycling of packaging among others, is a career-making (or breaking) job in and of itself, from the typical subcontractor's point of view. However, the project represents a major investment for the client, and your project is vitally important to us, as we pursue success in this industry. Finding good people to do all this, and do so professionally, courteously, and quickly is a challenge, and keeping that up requires constant vigilance. We believe we have achieved some success in this, and we are determined to build on that. 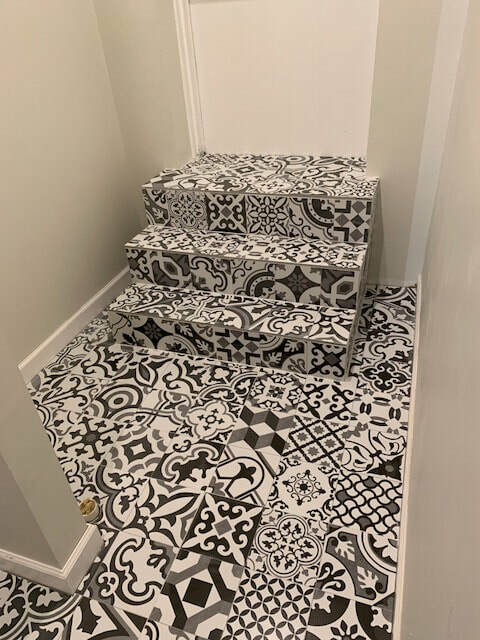 This attention to detail pays dividends - when things do depart from plan, which happens to some degree in most renovation projects, the more stake everyone has in the overall outcome, the more likely the plan can be recast and the project can roll on to final success for you. 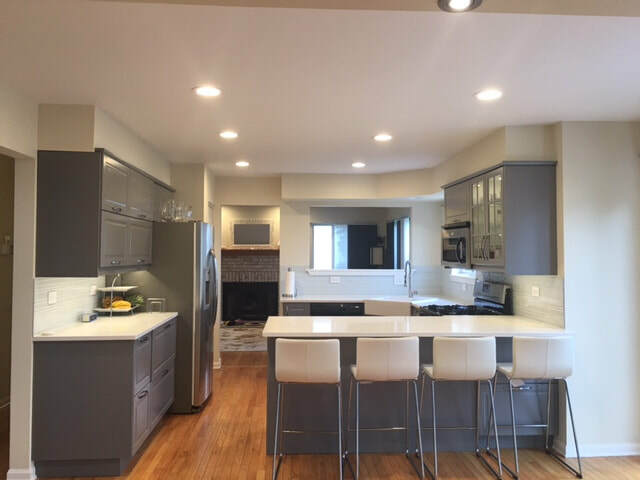 We offer a full slate of services for your project, so you can avoid the hassle of coordinating a dozen or more parties that are often involved in a kitchen remodel. 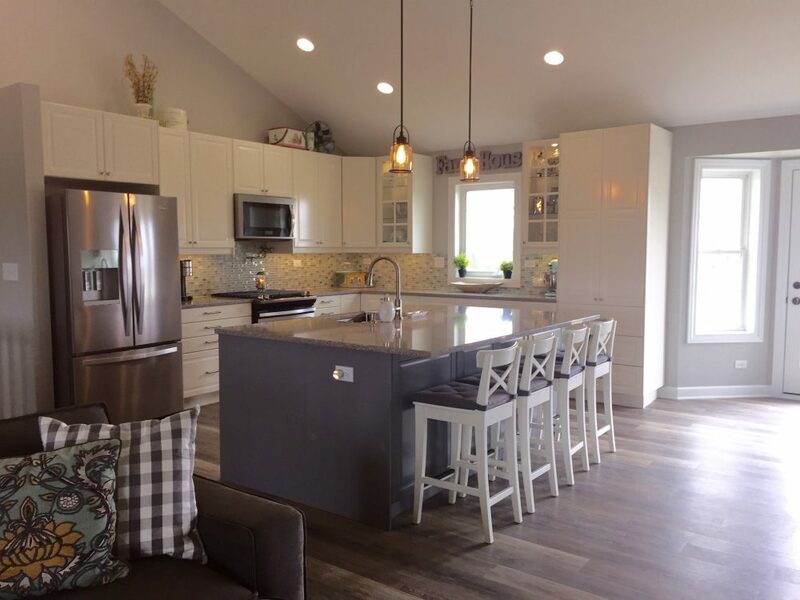 From measurement, planing & design, to final painting & backsplash tile work, we can help you through it all. You can use us as a general contractor, a value-added installer that also serves as Project Manager, or as a basic installer, if you already have a GC or Project Manager or are acting as such DIY. 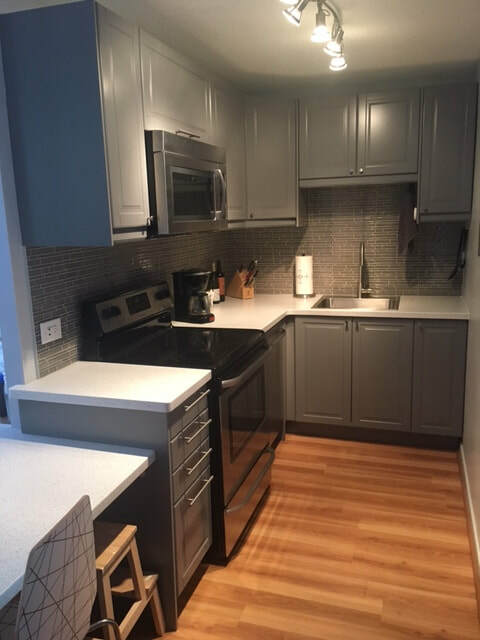 As GC or Project Manager, we will handle most cabinet installation-related tasks directly, including demolition and disposal of your old kitchen, cabinet assembly & mounting, custom trim carpentry, and modification of IKEA cabinetry. We will outsource other work that we do not do ourselves, to contractors with whom we have worked successfully before. 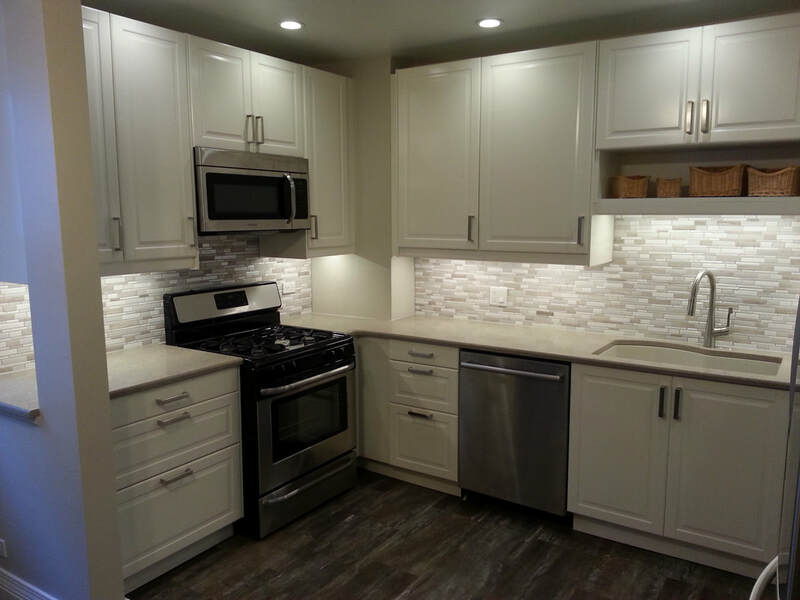 This includes electrical and lighting, flooring installation, drywall, painting, and countertop. While we and our primary partners and subs work throughout Chicagoland and beyond, plumbing companies tend to be very locally-based, and we can help you identify a good plumber for us to work with on your project. Most cabinet installations are done in about a week just for the cabinets, depending on size and services included. A major renovation project, which may include moving or demolishing walls, plumbing, drywall, and electrical work, might take as much as 6-8 weeks. Once we get the plan and scope of work finalized, we will be able to give you a more accurate time estimate. This also holds for other areas besides the kitchen. For example, a wardrobe installation can take between several hours to several days, depending on the complexity of the installation. won't i save money by doing the assembly & installation myself? DIY can save money if you know what you are doing, but it can cost you a lot more if you don't. You may end up with something that looks worse than when you started. It can also bring you a lot of headaches, frustration, and "domestic disharmony," the latter being very costly indeed! IKEA kitchens are designed to be completed by 1-2 people who have the skills and understand the process very well, with a set of tools that costs about $500-$600. 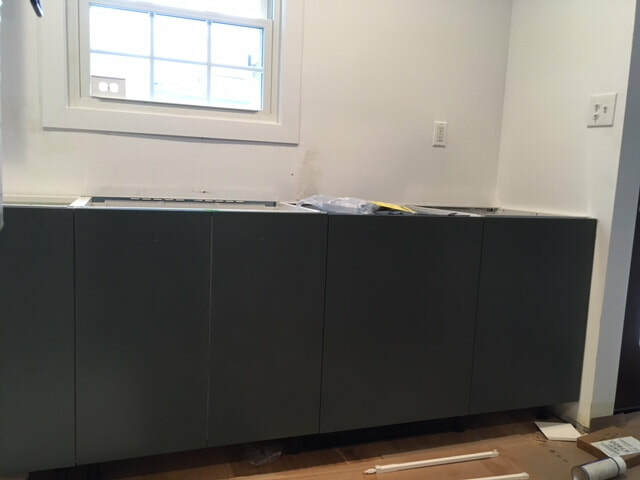 However, that is only the beginning of the story, just for the cabinet installation, let alone all the other work that goes into a kitchen remodel. A variety of skill sets is required to install cabinets properly, from assembling a simple cabinet frame to the complexities of customization. 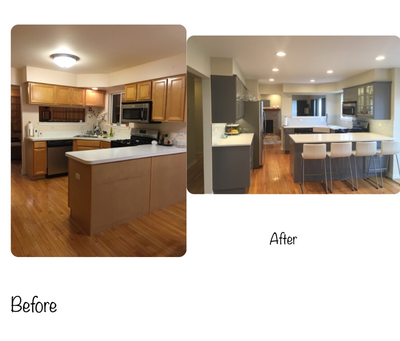 We have seen many instances where the client attempted to save money by assembling the cabinets, and we take on very few such projects. This part is the simplest and lowest cost part of the job; it accounts for only about 10% of the job's overall value, so there is not much money to be saved by doing that yourself. The value of the lead installer's work is the biggest part of the job. It comes from knowledge, experience, problem-solving skills, field-tested adherence to quality standards, and their ability to instill these qualities in their team. If you are acting as your own project manger or general contractor, you need to be ready for the challenges any large project can hold. Be sure you have completed all of your planning in advance, before any demolition. It is very important that work is performed in the correct order. 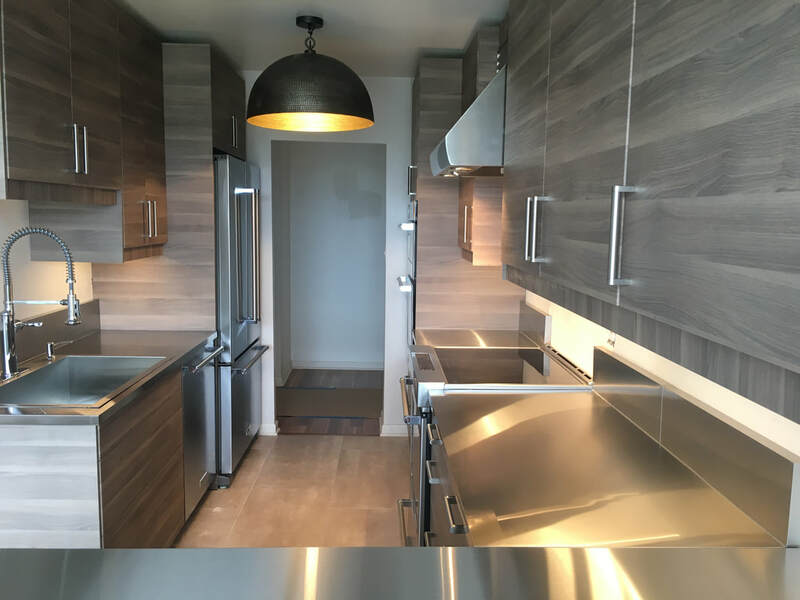 Have all of your structural changes been made, electrical and plumbing roughed out and if necessary inspected, including any preparation for fixtures (such as recessed lighting, sinks, etc. ), before you do the drywall? Who is connecting the sink and all the appliances? These may sound obvious, but prior proper planing does not always happen, even for otherwise very accomplished people. how about i do my own assembly and let assembly squad do the installation? Were sorry but we don't offer Assembly Only Or installation type of service. Assembly Squad does not recommend an " assembly only" or an "installation only" service. We are very particular about how the cabinets are assembled as the strength of the frames is based on proper assembly. We know what we are doing and strive for only the highest standard of installation. We have visited countless job sites where the repair costs alone amounted to what the initial cost should have been. Countless installations make perfect! We do not say all of this to sell you more services (although admittedly that is what happens when we assemble and install), but because we find our clients' satisfaction levels (which we measure) are higher when we perform both services. Can you really go and deal with ikea for me? Absolutely! We offer a complete concierge pickup and delivery service. With it, you can avoid the entire IKEA odyssey, and leave it to us to get the order details correct. Beyond the sheer convenience of it, there have been numerous well-documented problems with IKEA's delivery service, and many of our clients elect our service option for both convenience and to ensure the project goes smoothly. After you approve the design, you will have a complete cabinet and parts list. We will make the trek to IKEA, review the order with the IKEA staff, deal with self pick items, process the order on your card, wait for fulfillment, spot-check some basic item counts, and then deliver your kitchen to the assembly location. If something is out of stock, we will arrange for later delivery. With this option, a return trip to the store for missing or damaged parts is included; additional trips may incur added charges. ​what can i do to ensure the best result? Involve us in the process early. Take some time to gather images that have some aspects you'd like to adapt for your space. Make notes for yourself. Check out appliances you will replace and/or add. This part is a bit iterative, in that certain choices influence each other both ways. For example, if you can keep the fridge, this frees you to spend more on the stove, or do I have enough space to build in a wall oven? As we indicated above in "What Other Services...," we can work with you in various capacities, each of which takes on a different level of planning and coordination. If you are acting as your own general contractor (GC), think of this as a project plan for work, say, where you identify the relevant factors, form a team, set forth a timeline, allow for contingencies, etc. If you'd like help in the process, we are prepared to handle as much of the overall project as you like. The key is to make sure that someone is handling it, and not to assume that something is simply included. The GC route carries the extra expense of paying someone else to deal with building the team and doing the coordination necessary for a successful project. Like many other endeavors, planning is subject to diminishing returns. However, it is better to err on the side of more, in order to anticipate as many issues before they become costly, create delays, or force major project changes after the start. You need a timeline of what has to happen, and when, who will do it, and who will ensure that it is done properly. This cannot be over-emphasized. We have completed many cabinet-only installations in 3 days, where the project was fairly straightforward. Major kitchen projects take 1-2 months or more, and not having realistic deadlines (and some cushion for delays) can sidetrack the tasks that follow downstream of a blown interim deadline. 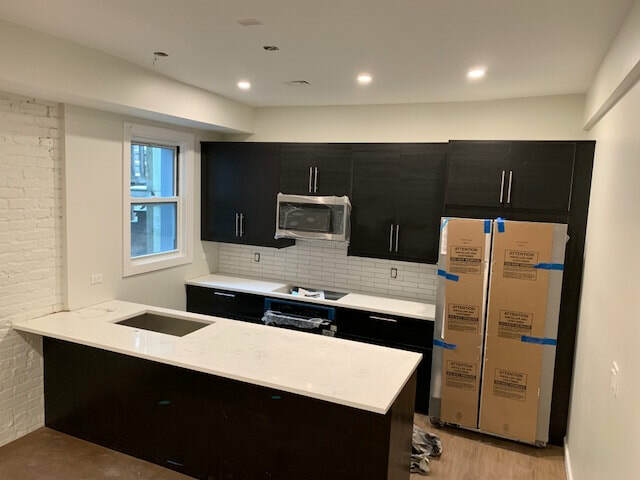 If the phases of your project have zero time in between, you risk not having a vital resource available when it is needed (such as a rough inspection getting delayed and holding back cabinet installation, which delays countertop people, painters, tile installers, etc. - each of these folks has a schedule they must keep, and they may not be able to move their schedule to accommodate changes). This is usually the biggest source of angst. If improved functionality for you to enjoy is your key desired outcome, this may let you convince yourself simply to economize, but this can be a mistake. Most homeowners are very focused on building resale value with this investment. Here the question is more difficult to answer - what is the "Goldilocks" percent of a home's value that should be spent in the kitchen remodel? Achieving the happy result that your home's value rises by more than you spent - creating value - is both art and science. Find out what others in your market have spent on their kitchens, what is expected in your community. Overspending is so very easy to do - which squanders value. One compelling reason to consider IKEA is to get better value. Underspending on a kitchen, however, can waste not only the money you spend, but impair the value of your home, as the prospective buyer factors in a market-level kitchen renovation. Try to have a strategic view of the entire project - what makes strategic sense for you to do at this time? In a kitchen, one should consider what to do with flooring, final finishes, lighting fixtures, new equipment, and other factors that may escape your attention, especially if you are "just trying to replace what's there" to save money. Unless you already have a truly perfect kitchen that is just old, all this effort should make it better, not just a newer version of your old space, right? An IKEA kitchen is without doubt a very attractive choice for most homeowners seeking beauty, functionality, and a good value in their kitchen. We will do our best to be competitive with any fully detailed quote you provide from an experienced professional. Even if they are not as highly rated as we are, we will do our best to get you a better price, while providing demonstrably better service. We want your business. Assembly Squad's pricing is competitive among the experienced professionals out there. This competition helps ensure that nobody's pricing is excessive. We put a lot of effort into keeping track of market pricing of such competitors, and we have found that those who price significantly less tend to provide poor service. This tarnishes us and our competitors, as well as IKEA, when a homeowner has a project go bad. IKEA has a designated installer they recommend at the time of purchase, giving them a "leg up," which means that we must not only beat them on quality, but we must also beat them on price, and do so profitably. We understand you do not want to overpay, but by looking at only that side of it, you may be missing an opportunity. We pride ourselves on helping clients realize "added value," meaning the end result adds more in home value than it cost. We have personally put two IKEA kitchens in our own homes, and they really do add value better than the many alternatives we explored. We have done many, many such successful IKEA kitchen installations for other very satisfied clients, spend a lot of time thinking about the choices one makes in kitchen remodels, and we are happy to apply this experience to giving you the best result in your project. Our clients have not only been willing to let us come back to their homes after final completion to take pictures, but that have also written many, many 5-star reviews. We know what is required to deliver on your project, and we ask that you give us a shot. N.B. Unfortunately, there are many people willing to put out low-ball bids to get the job who also claim to know what they are doing, but we find these less experienced installers almost invariably fail to appreciate the complexity that the assembly and proper installation of an IKEA kitchen in the field creates. The last thing you want is a situation where your installer realizes part way through a project that they will make very little money, or even lose money. This creates a moral hazard for them that can be a disaster for you. Unethical people can abandon the project or become very difficult to work with when they get to that point. 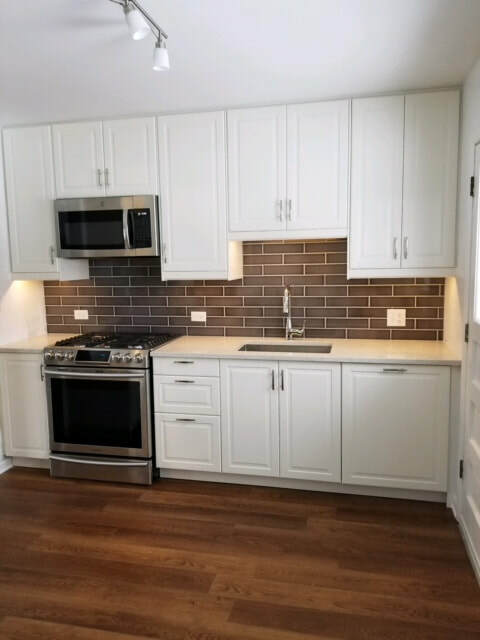 This may induce you to fire them, but then you would be stuck trying to find a contractor willing to take on a partially complete kitchen installation. We get such calls weekly, but only rarely do we take on rescue of such failed projects. Don't put yourself in that position! 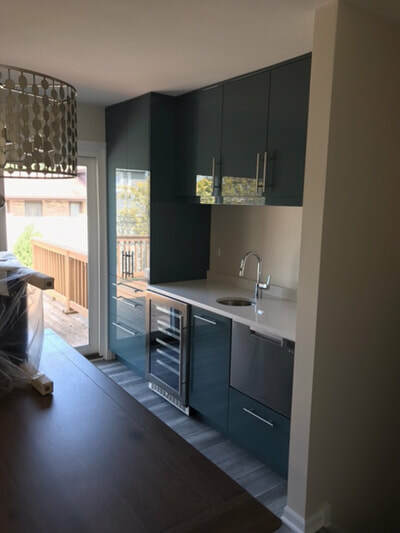 This complexity is another big reason that contractors are generally unwilling to install IKEA kitchens - their trim carpenter is too expensive to pay to assemble, but that carpenter's [expensive] skills are absolutely necessary in various parts of the project. in your contract, what does dry-fit mean, anyway? Dry-fit means we make sure an appliance fits properly into its cavity, and if securing it is required, do so. 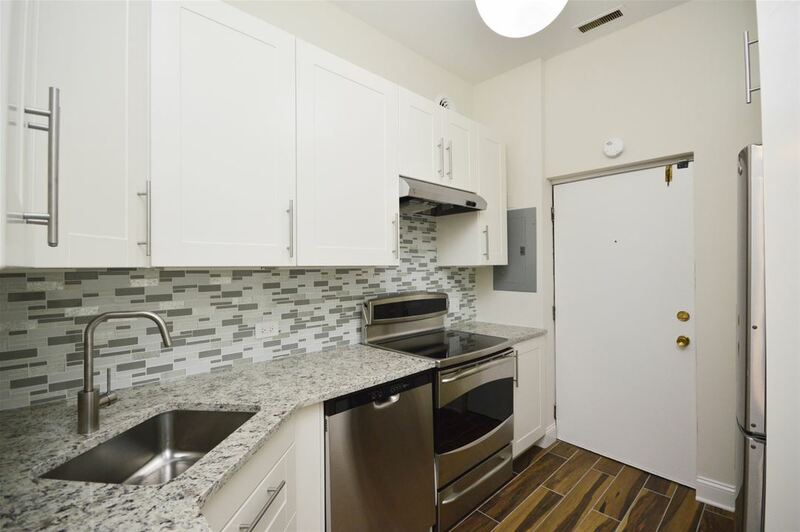 Sinks and most appliances will also require electrical and/or plumbing connections, and you would need to to have someone to do that, as this is not covered by the cabinet installation contract. We may be able to help you identify such a person, but as a cabinet installer, Assembly Squad cannot perform this service. If you were to hire us as a general contractor (GC), we would take on project-level responsibility to coordinate, supervise, and/or subcontract these and all other needed services, in which case it would be part of our contract.